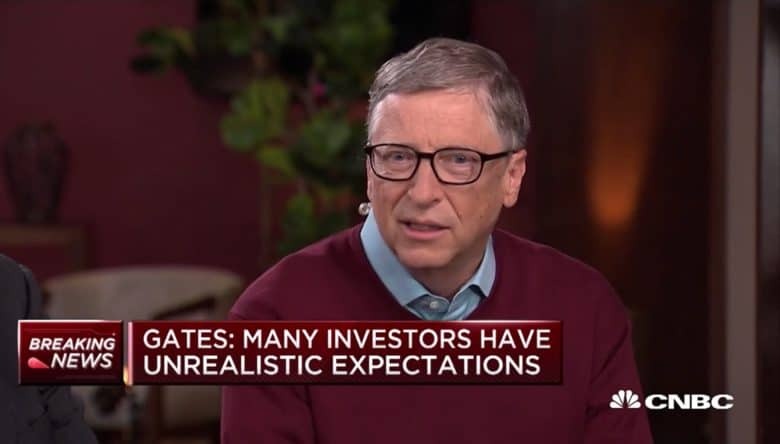 Bill Gates, who once headed Apple's arch rival, now has nothing but positive things to say about the company. The co-founder of Microsoft joined the chorus of voices speaking positively about Apple today. Bill Gates’ relationship with Apple goes back to the very dawn of the company, and he and Steve Jobs were the best of frenemies. Now that he’s a philanthropist rather the CEO of Microsoft he can speak openly about a former rival. News of Buffett’s investment helped push Apple’s stock price up into the stratosphere, closing at a new record high today. Back in the 1970s, Gates’ new company Microsoft made a version of the BASIC programming language for the Apple II computer. Steve Jobs and Gates continued their collaboration until the release of the first version of Windows, which Jobs felt was based on the Macintosh. There were lawsuits and bad feelings. Windows went on the dominate the personal computer industry until the point where Gates had to save Apple with a $150 million investment in 1997. And then everything changed with the release of the iPod, iPhone, and iPad. Apple became a hugely successful company, and Steve Jobs apparently felt it was time to let bygones be bygones. The co-founder of Microsoft and the co-founder of Apple reconciled their differences, and Gates even visited Jobs when he was dying in 2011. Since that time, Gates resigned any role in Microsoft’s day-to-day operations and now concentrates on being a philanthropist. Still, he’s worth 91.5 billion so when he makes positive comments about Apple, other investors will likely take notice. Even if he was still involved with the company, it’s unlikely he face any pushback for being bullish about Apple. The current head of Microsoft, Satya Nadella, has mostly ended head-to-head competition with its former rival. He’s chosen to cooperate, resulting in numerous Microsoft apps for iPhone, iPad, and Mac. Several new ones were just announced today at the Build 2018 developers conference.